We are going to see, How to install yaml export plugin in MySQL workbench for Symfony project. Symfony generates database and tables from schema.yml file using Doctrain or propel. Creating yml schema by hand is little pain. Mysql workbench is offers a tool to design, develop, administrate MySQL database. MySQL Workbench providing many plugins to add features to the software. 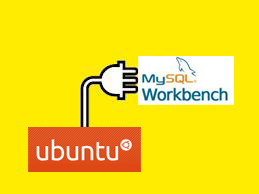 SymfonyYamlMyqlWorkbenchPlugin is the one of the MySQL workbench plugin, this offers the feature to export database schema in yml format.I going to explain installation of plugin in Ubuntu environment. If you are not already install the MySQL workbench, use following command in your terminal (Ctrl +Alt + T) and install. First download the SymfonyYamlMyqlWorkbenchPlugin plugin from here and extract SymfonyYmlExport.grt.lua file in your desktop. Then we need to move this file into workbench/modules/ folder. so use the below command. in plugins -> catalogs -> Export Symfony Yml file. Now enjoy the benefit of yml export plugin.Hope this helps someone.